This is the true story of an alligator with bad intentions, an enthusiastic turtle-rescuer with good intentions, and a turtle with…well, he had no intentions. He was mostly just a scared prop. Our story begins one morning with the good-intentioned turtle-rescuer behind the wheel of her truck. She noticed a wayward turtle in the median between a local four-lane road, limbs and head retracted. Its shell was quaking in fear. After retrieving the small, olive-brown amphibian from the dangerous road, he was gently placed in the bed of a truck and carried off to a wonderful new kingdom of water. The frightened little prop looked quite aquatic to turtle rescuer and her cute blond assistant, Chase, so they drove to the nearest large lake, good intentions sparkling as brightly as the blue-grey water. The little prop was an interesting looking fellow, mostly brownish-black in color with a dome-shaped shell. The turtle rescuer had vast knowledge of turtles and was certain that because he was an aquatic turtle, he needed a humongous lake to call home. After all, she had two pet turtles at home in a backyard pond so she tends to figure herself an expert. After turtle-rescuer placed “Domey” in the mud at the lake’s edge, she backed up the slope and counted the seconds until he shot into the water. This turtle-rescuing business was old hat and turtle-rescuer and her two very cute assistants were always amazed how swiftly normally-slow moving turtles disappear into water once they’re close. They watched and waited. The bright May sun prickled the good-intentioned rescuers with heat. And still that dome-shaped brown amphibian just sat there, frozen. No limbs were sticking out of its shell yet. What was taking so long? Go, Domey, go! Be free! Then things got really exciting. Turtle rescuer and assistant couldn’t believe their eyes! The calm water surface was broken by a very long, dark head appearing near the middle of the lake. That large head was quickly swimming toward Domey! The long, dark head was raised so far out of the water it did indeed look like a hippo! (But this is Florida, so they knew very well it was a gator moving toward them.) Mr. Bad Intentions was coming their way! And still, even with snaggle-tooth approaching, the little turtle sat immobile at the water’s edge. Turtle rescuer was utterly confused. This wasn’t Wild Kingdom! This was Eco-I’m-a-good-person-doing-something-wonderful-for-our-wildlife-and-world! Her good intentions were so very good, yet that prop wouldn’t budge. Weren’t good intentions right? Doesn’t good intent cancel out everything else? Weren’t the good intentions…enough? Turtle rescuer’s good intentions were actually no different than the bad intentions of the large hippo-gator floating toward Domey. Despite the heartfelt effort and eco-great intentions, the turtle rescuer was operating outside the realm of truth. The good intent in her heart and actions would accomplish nothing in the void of truth. This species lives in small bodies of shallow water and is often found in estuaries and in the tidewater where rivers meet coastal bays. It is seen on land more frequently than other mud and musk turtles. 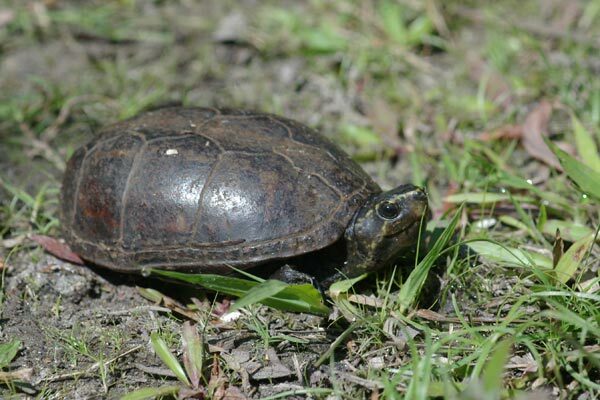 Eastern Mud Turtle females dig nest holes in decaying vegetation far from water. Hatching may occur at any time of the spring or summer; eggs that are laid in late summer may not hatch until the following spring. The poor little prop wanted nothing to do with the huge, deep, sparkling lake. There was little to no vegetation around the perimeter of the water and turtle rescuer could very well have interrupted a female looking for a place to lay her eggs. (Though admittedly, the road isn’t a good place to start a family.) Domey should have been placed in a large, wooded area near a small pond, not in front of a huge, alligator-infested lake the little turtle couldn’t see across. The good intent in turtle rescuer’s heart – saving the turtle from very possible death on the road, placing it in a wonderful new home – was no different from the bad intent of the curious, perhaps hungry alligator. This is because good intent based on false pretenses serves no purpose and will actually mask the truth. How much more important is our intent toward our Creator? Much, much more. God specifically states in His Word, “I am the First and I am the Last; besides Me there is no God.” (Isaiah 44:6). He is the only true God, and we cannot hope, wish, or desire our way to Him. Our very best intentions – no matter how good, heroic, godly, or praiseworthy – will never get us to God. In fact, how miserably we would fail in our own efforts. It would be good intent based on false pretense – the idea that we could save ourselves. Jesus is the Truth, and the only way to God is through faith in Him. Honorable intentions, feeling love, caring for the homeless, acting spiritual, seeking and finding peace, being kind, feeding the hungry, and passing along joy are wonderful acts of service to offer others and admirable traits to have, but they cannot bring us to God. Good intentions toward God are null and void apart from the Cross of Calvary, the death and resurrection of Jesus, and our receiving of Jesus into our hearts and lives through faith in Him. Just like not all lakes lead to turtle happiness, neither do all roads lead to God. This highly fallible turtle-rescuer is thankful to know the only road to God. It’s the Jesus Highway, and it’s bulldozed and graded with His love for each of us, paved with His shed blood on the Cross to cover our sin, and directed with the flashing signs of His Grace. John 14:6 gives directions from our Perfect Savior (no other maps necessary). Jesus is the truth and there is no false intent in Him. What a blessing that, “If you confess with your mouth the Lord Jesus and believe in your heart that God has raised Him from the dead, you will be saved” (Romans 10:9). Cool story! 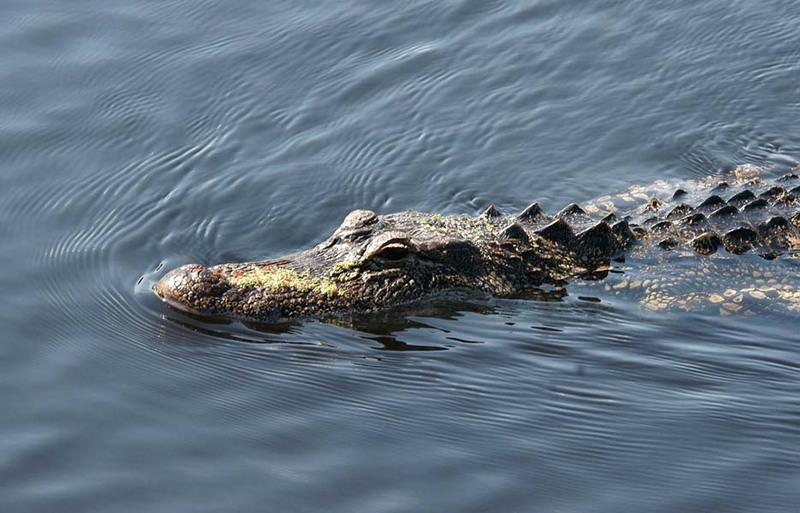 I have lived in Florida and seen gators up close. They can be unnerving! And I like the spiritual point you make.